Yep! I give this one the thumbs up Pat! Brilliant Santa, fab colouring, love the papers and L/O. A really stylish design Pat and loving that pretty red backing paper. Fantastic Christmas card, Pat - I love your card design with those great papers and that cute Santa image. We have been out working in the garden in really hot weather - but it went downhill yesterday and now it seems we're back to winter again. Hope your weather improves soon too. 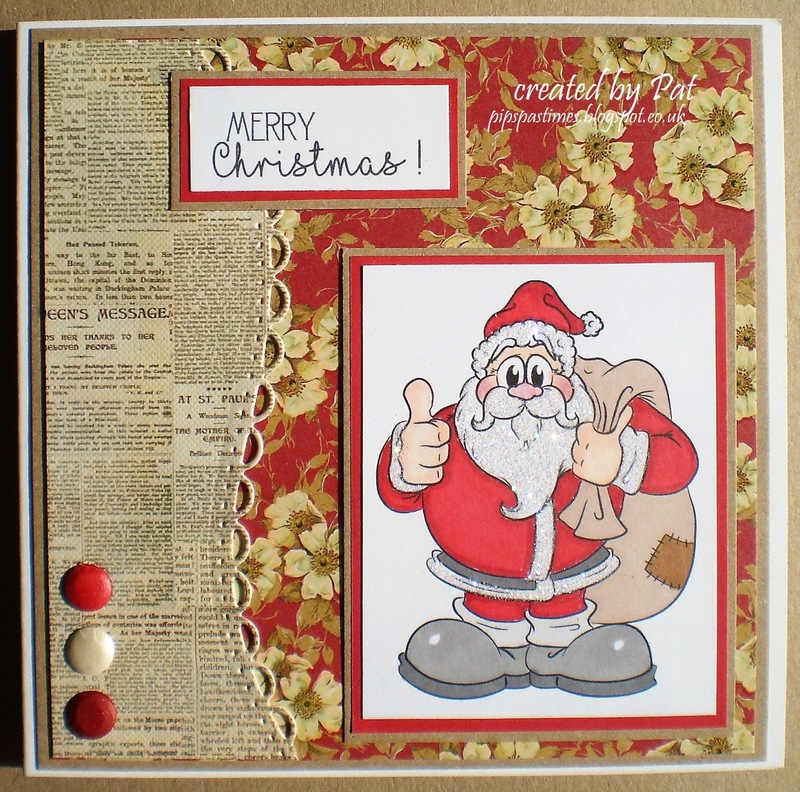 A fabulous Christmas card Pat, such a jolly Santa and beautiful papers. Very cute and beautiful christmas card, love the colours and the sweet image! Your card is really wonderful - I absolutely adore your layout!!!! I think I will try to copy some of it with your permission of course! Bravo - love the Santa too!! Totally fab Christmas card! Love the border! This is a gorgeous card, Pat, what a fun Santa! !